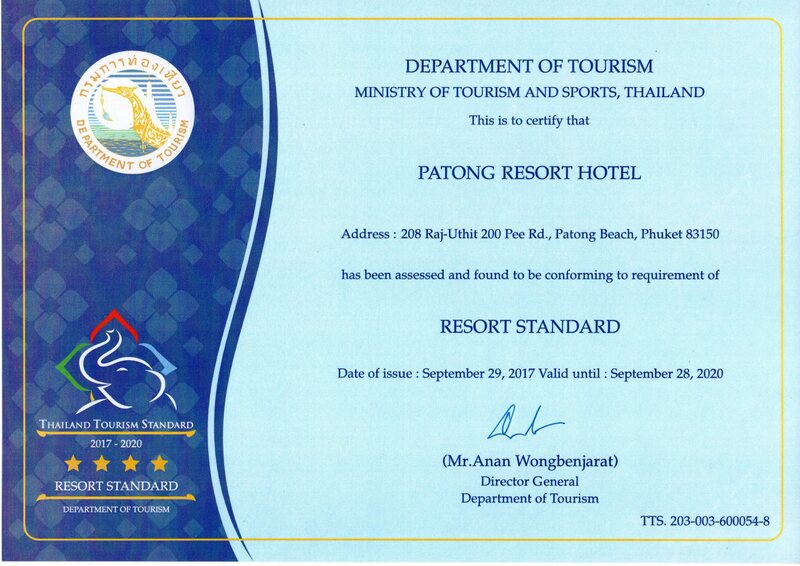 Patong Resort’s enviable location, well appointed rooms, excellent facilities and extensive grounds make it the perfect choice for any visit to the tropical paradise of Phuket. 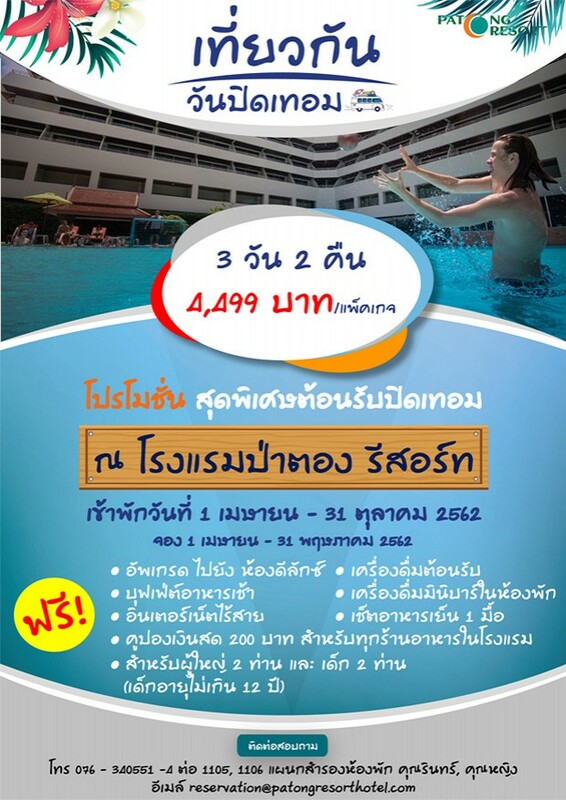 Just 45 minutes from Phuket International Airport. Well-appointed rooms, excellent facilities, hospitable staff and extensive grounds make Patong Resort Hotel the perfect choice for your visit to the tropical paradise of Phuket. Just 45 minutes from Phuket International Airport, Patong Resort Hotel is ideally situated only a few minute walk from Patong Beach, as well as great shopping outlets and Patong’s famous nightlife. Guests of the resort have a wide variety of delicious dining options to choose from. In the gardens, by the pool, Pavarotti’s poolside restaurant serves fine Italian cuisine. The Teppanyaki & Sushi bar features a special set Bento menu, sushi and sashimi. Relax in a cozy atmosphere with a refreshing drink at The Marble Bar. The Patong Resort is well equipped to host a range of functions and events, with an expansive conference hall and meeting rooms, the resort’s capable staff can easily organise memorable, fully catered events, large or small.